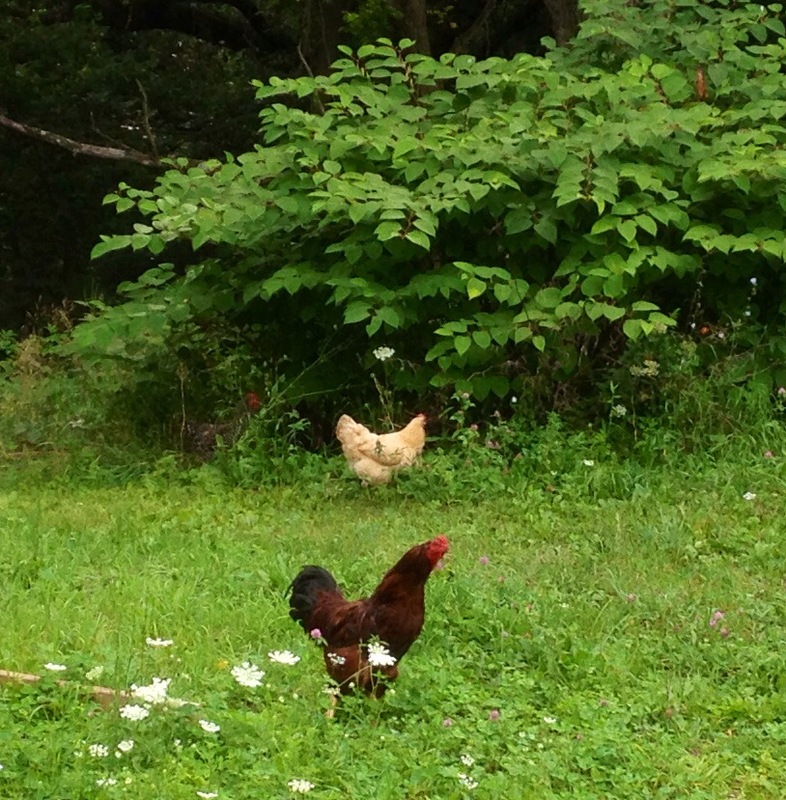 Our chickens are temporarily free to range the entire property, rather than just their usual amply large run. These three hens have ventured quite far from the regular chicken area, and Bucky the rooster came with them for protection, I imagine. I love how even when there’s so much fun stuff to explore, he minds his business and stands there attentively while they do their thing. He’s a good roo.